Help us preserve Texas Hill CountryLandmark! 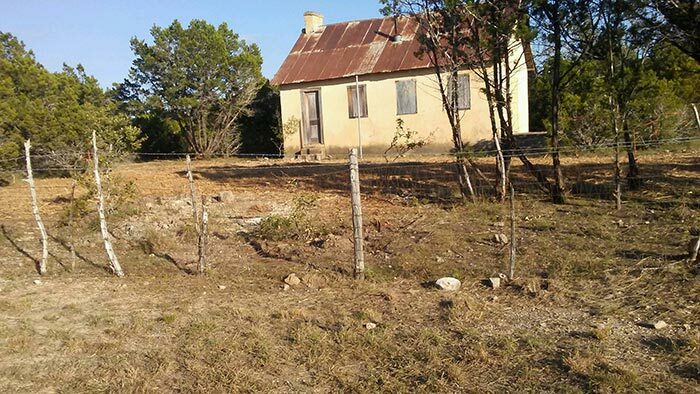 Polly Texas Pioneer Association is starting the restoration of Polly's Schoolhouse. Download the brochure here or click here to contribute online. The Polly Texas Pioneer Association is a non- profit 501.c.3 organization dedicated to preserving the history and heritage of the historic settlement of Polly, Texas in southeast Bandera County. Founded by our namesake, this village is one of the last historical Tejano towns still remaining in Texas. Although our group is fairly new, it has already acquired and restored the famous Texas Historical Landmark “Polly’s Chapel” and its four-acre grounds along with the historical “Polly’s Cemetery.” Very recently, it requested and was transferred the historic limestone “Polly’s Schoolhouse” by the Bandera Independent School District. We are very excited about our newest acquisition and look forward to working with the community and others to restore the small one room schoolhouse. 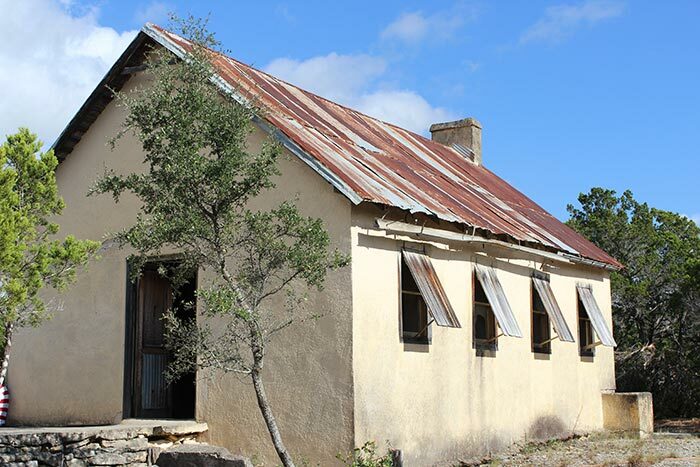 Once restored, the schoolhouse will serve as a community center and micro museum and provide an outdoor interactive learning center and will be registered as an official Texas State Historical landmark. As such, we are asking that you please join and support this effort as a Schoolhouse Committee member. Committee Members are asked to make a contribution of $100 to help us get started. The committee will be asked to help with the capital campaign to raise the $70,000 needed for the restoration of the schoolhouse. This will be done through sponsorships and other fundraising efforts and contributions. The committee will also recruit other committee members. We hope you'll join as a committee member in this worthwhile restoration project. After signing up, informational packets including sponsorship levels will be provided. Committee members will be listed on all Schoolhouse printed matter and will receive a certificate of Schoolhouse Committee Membership. If you have any questions or would like more information, please contact Mr. Vincent Tavera or myself at (210) 673-3584 or contact us here. In 1892, the state of Texas enacted laws to provide free education for all Texas students. Unfortunately, they didn’t have the funds to buy land, build schools or hire teachers. Community leaders came together to focus on providing these things. In the case of “Polly’s Schoolhouse”, in 1892, Jose Policarpio “Polly” Rodriguez; a founder of Bandera and Polly Texas, donated to the State of Texas one acre of his land for the location of a school. Later he contributed limestone for the construction of the school. His son, Louis, supplied the lime for the mortar and others supplied cedar timbers for roof framing, roofing and doors and windows. The original school was one story and measured 20 by 30 feet long. Later, an enclosed section and a roof area was added to accommodate more students. As mentioned, the 18” thick walls were of limestone quarried from the nearby creek. A nearby kiln was used to burn limestone to produce lime for a mortar mix. The floors were made of tongue and groove pine nailed to wooden floor joist. Three wooden windows were placed on both each east and west walls. There was also a wooden entrance door on east and west walls. Also, there was a wood burning fireplace on the north wall along with supply shelves built into the wall. On the south wall a door was installed to access a later addition. Lastly, the ceiling used 2 1⁄2” wide wooden beaded boards nailed to ceiling joist. Other amenities of the school were a in ground water cistern that was fed by a collection of water from the roof. This was made possible by the installation of gutters on the east side of the roof with a down spout leading into a stone sleuth running along the ground and then into the cistern. There was a pulley with a bucket attached to draw the water for the students and their horses. Also, towards the rear of the property there was the prerequisite “Out House”. This facility was the standard schoolhouse on the Texas prairie in the 1800’s that served students of all ages and grades. In Polly, Texas, this school served the almost thirty Tejano families living in the settlement from 1892 to 1942 along with other Italian and Polish families. Mostly female teachers were hired. The teachers and students either rode horses, came in wagons and or walked to school. During this era, the school also served as a place for community involvement for families during holidays and cultural and social events. The school’s founder; Jose Policarpio “Polly” Rodriguez, committed to building a school so that the settlement children could receive an education and become better citizens and have a brighter future. 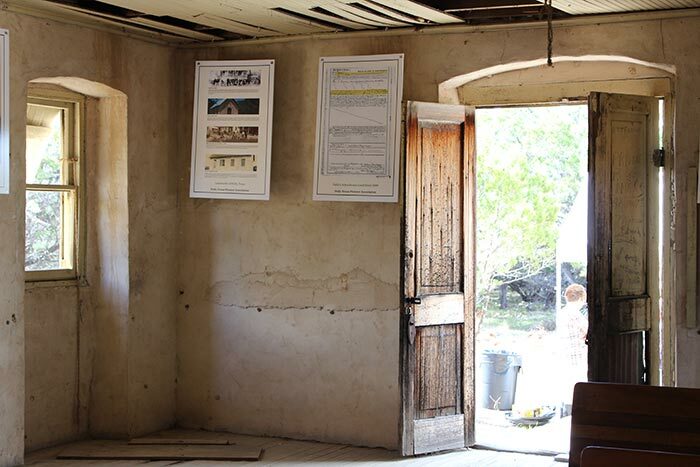 Today, the Polly Texas Pioneer Association consists of area residents and family descendants who are committed to reconstruct the little school building, provide a community use and help preserve and conserve the heritage of a historical landmark and its founders’ role in it! 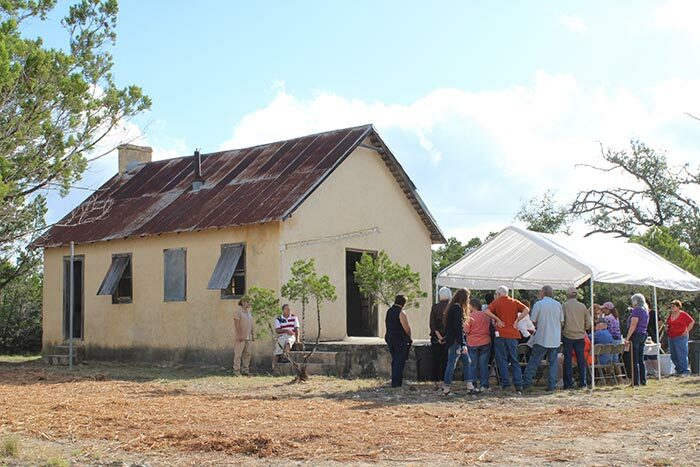 In 2015, we requested the transfer of Polly’s Schoolhouse from Bandera ISD to Polly Texas Pioneer Association. We prepared a packet for the application and submitted it. Final surveys, title and deed work are being completed. We’ve already started planning and trying to secure funding for the restoration. In the first phase (2016), we will focus on stabilizing the schoolhouse and grounds. This includes maintenance and minor repairs as well as cleaning of the surrounding grounds. Phase 2 (2017) will consist of exterior repairs and maintenance of the roof, walls, ceilings, fireplace, fence and gate. We will also begin landscaping improvements. Phase three(2018) will be primarily for the completion of maintenance and repairs. We will also install a new front fence and gate. We will also complete landscaping improvements. Phase four(2018-19) will incorporate new construction and equipment. New restrooms and storage facilities will be installed. To add to the historical feel of the schoolhouse, we will also install antique desks and chalkboards. New lights, ceiling fans and heating will also be installed. Please note that our proposed restoration calendar depends on timely funding, please help support this project. To make a contribution, please download and return this form or click here to contribute online.